Lisa Guyman is a inspirational educator available locally and nationally. Her passion is educating people about the tremendous benefits available to them through meditation. There will be enough information and scientific research presented for the analytical participants. There has been a plethora of research conducted on meditation, including findings such as the reversal of aging that can take place with regular practice. Meditation will be demystified. The myth that meditation is hard or that it requires that the practitioner empty their mind of thoughts will be dispelled. 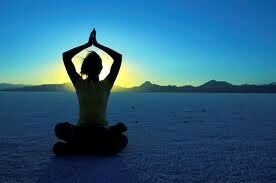 And the possibilities for peak performance, greater well-being and personal and spiritual growth will be explored. This complete and comprehensive course on meditation is Primordial Sound Meditation. Lisa Guyman is a certified Chopra Meditation Instructor and thus certified to offer this course. Her style of conducting Primordial Sound Meditation creates a comfortable environment for participants to learn to meditation easily and successfully. Her focus is inclusive and she structures classes to be highly experiential and meaningful. Employee time investment: 8 hours over two-three days. Includes one-on-one meditation instruction. This portion is 30-45 minutes per employee. In-person or via phone. Fee is $500 per student and travel expenses. If under 20 employees group rate is $10,000 plus travel expenses. Lisa Guyman began started meditating at age 16, attended Maharishi International University at the age of 19, and is trained and certified as a meditation and yoga instructor through Deepak Chopra, M.D. and the Chopra Center. She has a B.A. in Psychology from the University of Michigan. She worked seven years in corporate human resources and started her own business in 1997. She is the author of “Journey into Meditation: A Roadmap to Healing and Wholeness” and has also produced highly acclaimed guided meditation CDs, one of which is: Journey into Meditation: Guided Meditations for Healing, Insight and Manifestation. There is a plethora of scientific research that has been conducted on meditation and the impact it makes on quality of life. Meditation is not meant to be hard and it doesn’t require particular postures nor does it require making the mind blank. 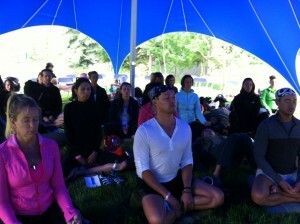 Lisa spoke at the Wanderlust Yoga Conference at Copper Mountain. Her meditation CDs available only in the conference store outsold all other presenters/speakers. 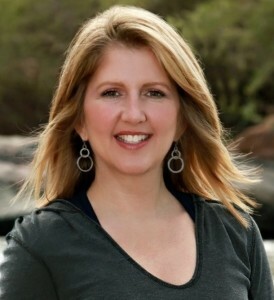 Information on Lisa Guyman’s presentation at the Rocky Mountain Dental Convention. One of Lisa’s Many Meditation Classes.